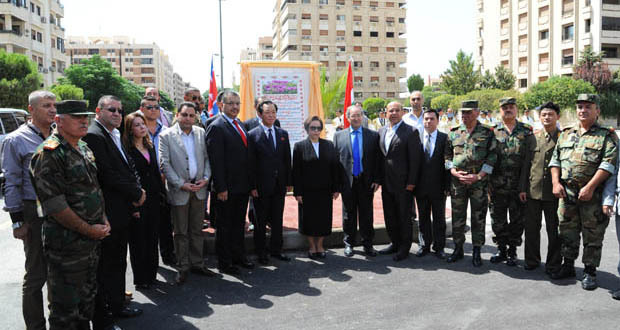 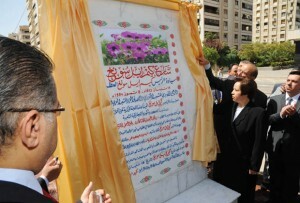 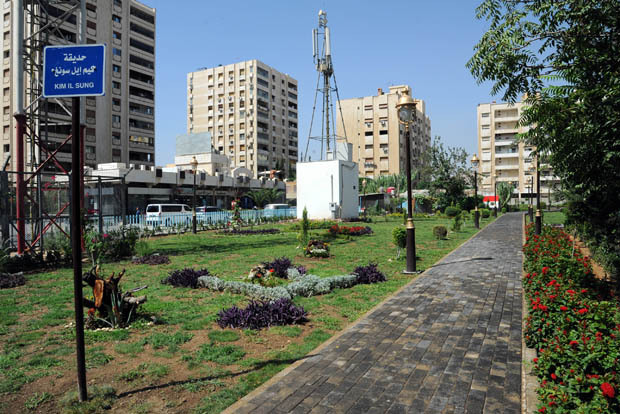 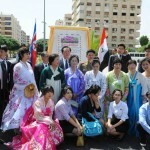 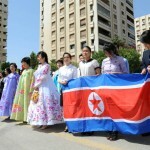 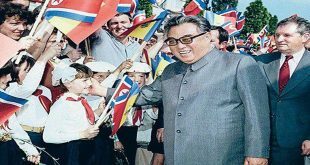 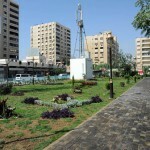 Damascus, SANA – The Embassy of the Democratic People’s Republic of Korea (DPRK) in Damascus held a ceremony on Monday for naming a park in Kafrsouseh neighborhood in Damascus after Kim Il-sung and inaugurating a memorial a monument in the street bearing the same name in the neighborhood. 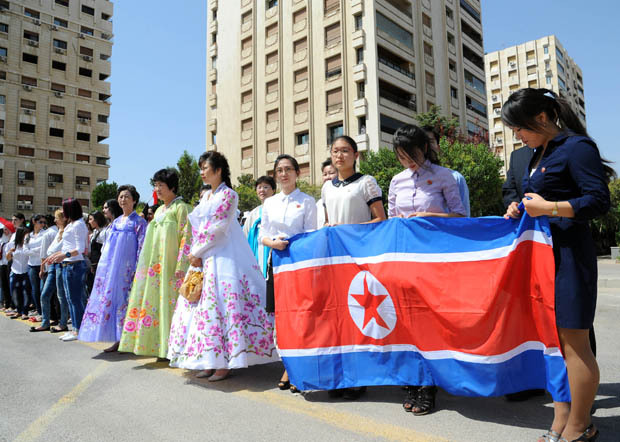 The ceremony was held to mark the 70th anniversary of the liberation of the DPRK and forming the Workers’ Party of Korea (WPK). 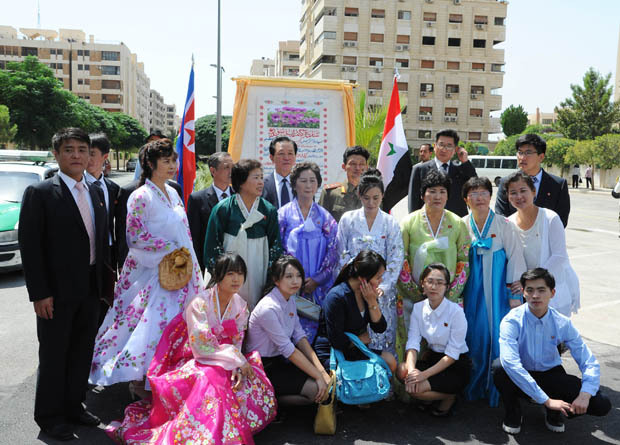 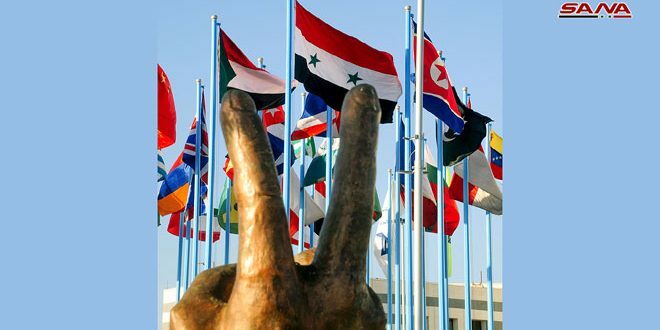 Member of the Al-Baath Arab Socialist Party and had of the Syrian-Korean friendship association Fairouz Moussa delivered a speech during the ceremony, saying that this event emphasizes the relations between the two countries, voicing appreciation for the DPRK’s support for the Syrian people. 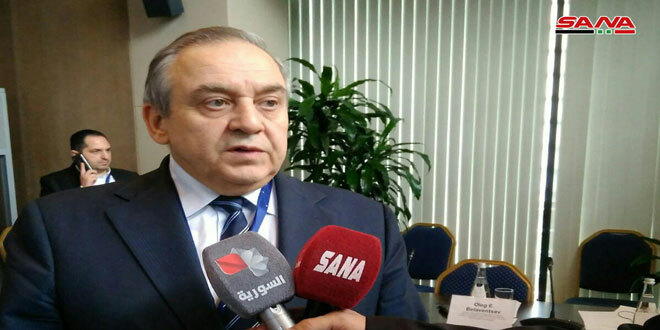 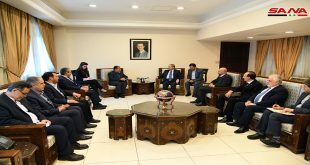 In a statement to the press after the ceremony, Deputy Foreign and Expatriates Minister Fayssal Mikdad asserted that the relations between Syria and the DPRK are strong, lauding the DPRK’s support for Syria in the face of terrorism and affirming the need to improve bilateral relations. 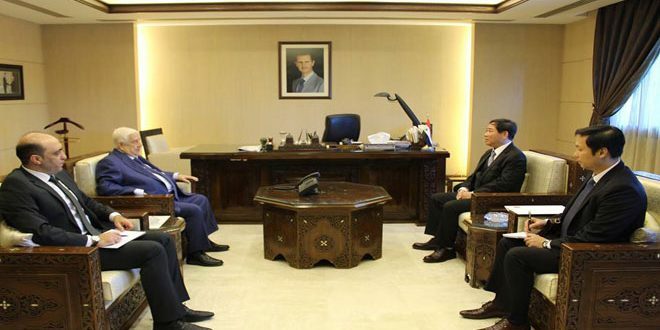 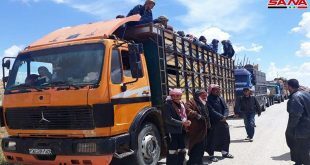 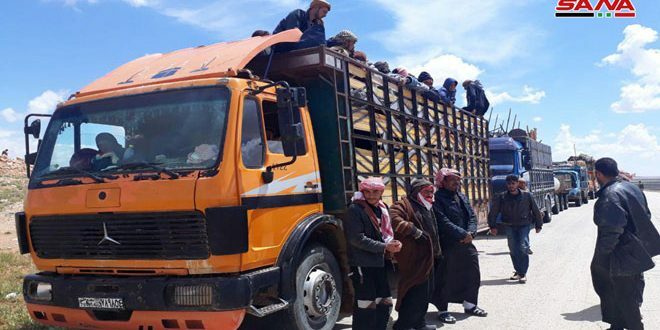 Likewise, DPRK Ambassador in Damascus Jang Myong Ho said that the crisis that has been affecting Syria for over four years is the result of conspiracies and plots by the U.S. and its pawns with the aim of toppling Syria and establishing control over the Middle East, voicing confidence that the Syrian Arab Army will emerge victorious.